In western countries hardly a week goes by without some disease condition being put in the spotlight in a press release saying "Condition X affects Y million people a year and costs Z million dollars". If industry has a stake in the matter then this is usually followed by a statement saying that the Condition X is underdiagnosed and undertreated and if only we used Drug A or Test B then we would avoid prevent much suffering and save the health budget in the the long run. This sort of thing is now happening with health conditions in China, except the numbers are bigger by a factor of ten or even a hundred. Take osteoporosis, for example. An analysis published this week shows that there are about 2.3 million osteoporotic fractures a year in China, costing $10 billion in health costs. And if you think that's bad, wait until you see their projection for 2050 - the researchers estimate that with the ageing population there will be 6 million fractures a year costing $25 billion. And as predicted, the report's authors say that "screening and intervention policies must urgently be identified in an attempt to minimize the impact of fractures on the health of the burgeoning population as well as the healthcare budget." A similar dire warning was made this week for hypertension and diabetes in China. An article in the Journal of the American College of Cardiology said that China was facing a cardiovascular disease epidemic as three out of four Chinese people are in poor cardiovascular shape due unhealthy eating, smoking and obesity. On a similar note, a study from Shenyang showed that 50% of older adults had hypertension and poor cholesterol levels. And a report in The Lancet this week shows that China has 300 million smokers and that tobacco causes 1 million premature deaths a year. The numbers are so big they are incomprehensible. And yet at least the Lancet offers a workable solution: cigarette taxes. It says that if cigarette taxes were raised by 50% this would result in 231 million years of life gained over 50 years and also produce an additional US$703 billion in extra tax revenues from the excise tax. The overall effect would be to relieve financial burden on the poor by avoiding diseases such as lung cancer and the consequent medical bills and time off work. But does Xi Jinping have the gumption to increase cigarette taxes? For yet another set of mind boggling numbers turn to the example of cervical cancer. With no Pap test screening program, tens of thousands of Chinese women develop this disease and die of it each year, even though it is preventable. Western countries have long had screening programs and are now tackling cervical cancer with the HPV vaccine for young women. Some health economists have crunched the numbers for China and estimated that a national vaccination program of HPV vaccine for 9-15 year old girls, between 2006 and 2012 would have prevented 381,000 cervical cancer cases and 212,000 related deaths. They say that a HPV vaccination program could be implemented in China at a cost of about $50 per girl for the whole set of vaccinations and program costs. In total this would cost China about $160 million, but would ultimately prevent hundreds of thousands of deaths from cervical cancer - and also be cost effective. A final example: stomach cancer. This causes hundreds of thousands of deaths in China every year. And yet researchers have found that regular use of low dose aspirin could reduce the risk of stomach cancer (and other common cancers such as colorectal cancer) by as much as 40%. In other words, if Chinese people took a regular dose of aspirin they could avoid many fatal cancers, not to mention the protective cardiovascular benefits against stroke and heart attack. Whether these would be outweihed by increased bleeding risk remains to be seen. I think what I am trying to say here is that when it comes to ill health in China, the numbers are often too large to be imagined. But that also means that measures that produce only modest reductions in rates of disease can also have major impacts on the absolute numbers of illness. And while talking of high rates, let's return to my favourite bugbear about healthcare in China - the infusion. I have been guilty in the past of blaming backward thinking among the Chinese masses for insisting on having an infusion for every ailment. I hope I haven't hurt the feelings of the Chinese people and perhaps I owe them an apology. A study from a bog standard Hubei hospital shows that a staggering 96% of antibiotics used in the hospital wee given parenterally (ie by injection or infusion rather than orally). The authors of the report contrast this with the rates of about 30% of IV antibiotic use seen in European hospitals. However, they blame the profit motive among hospital managers for the widespread use of antibiotic infusions - noting that hospitals depend on drug sales for a major part of their income. Therefore it will be interesting to see what happens when the Chinese government tries to eliminate this source of income for hospital by introducing cost price pharmaceutical billing this year (ie not charging a markup). How will hospitals fund their services? The government only covers about 20% of their running costs. There are already predictions that costs will be shifted to medical procedures - and trigger even more overservicing. At least there is some discussion taking place of these kinds of problems and some in the government are acknowledging that there is still a long way to go in health reform. This week a very frank and bleak account of the ills of rural Chinese health system was published. Doctors and hospital managers said quite bluntly that the rural healthcare system in China is being hollowed out - older doctors are retiring, and nobody is taking their place. Young doctors do not want to work in rural hospitals, partly because the ban on commissions from pharmaceuticals means they can make only a tiny income. And patients do not want to be treated in them. 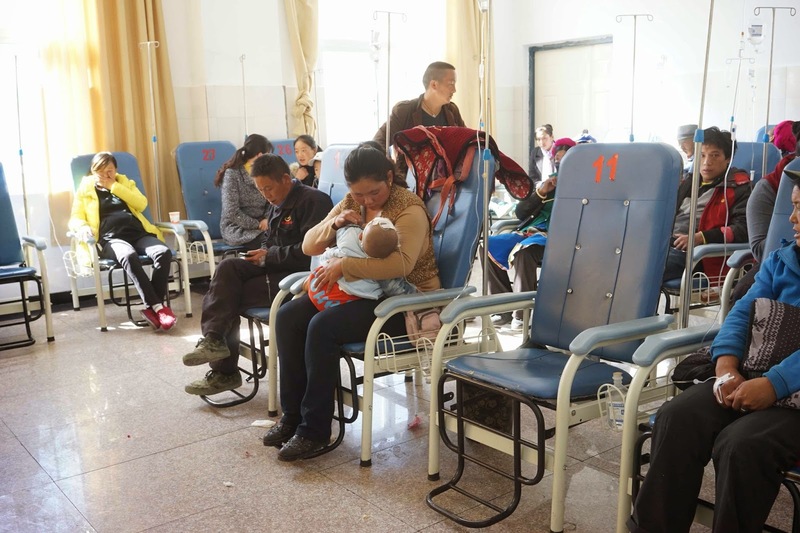 And so the county and township hospitals are becoming ghost hospitals - deserted compared to the overcrowded city hospitals, where rural Chinese flock when they have a serious health problem. 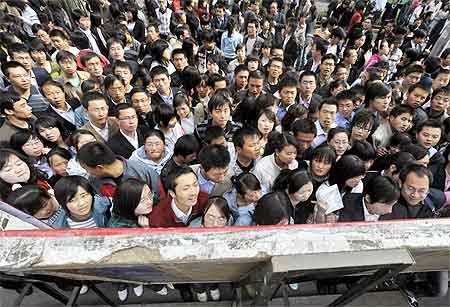 Fact of the week: Chinese primary care (community health centre) doctors earn only 3000-4000 yuan a month. Primary care doctors account for only 4% of doctors in China.